The problems of one lowly little creature in the world might not amount to much for some folks - but luckily for this portly amphibian who got himself into a pickle, he found there's still people out there who are willing to help. A family in Norwich, England, made a surprise discovery last week which, while no doubt bemusing, didn't fail to inspire sympathy as well. There, desperately squirming in an opening between slats on their deck, was the chubby, olive-green hind end of a toad who'd somehow become trapped. Rather than leave the animal to struggle in vain, or risk injuring him by their own unskilled handling, the homeowners called the RSCPA for help - and it's a good thing that they did. 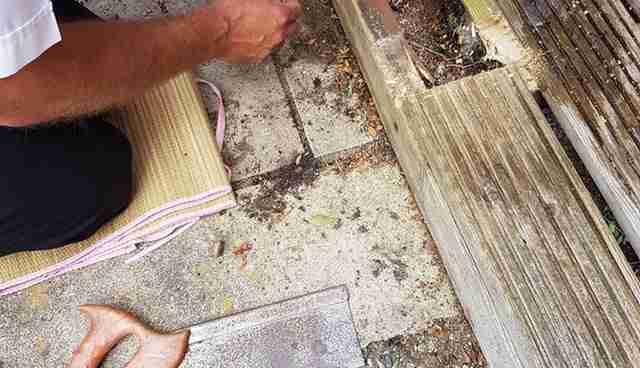 "When I arrived at the house I was shown to the garden by the homeowners, and it didn't take me long to spot the little legs sticking out of a gap in the wooden decking, waving around in the air," RSPCA inspector Jason Finch said in a release. "I knew I had to get the little guy out as soon as possible, he must have been very uncomfortable." Extricating the toad from that tight spot wasn't as easy as you might think, so it's a good thing the family who found him have such big hearts. 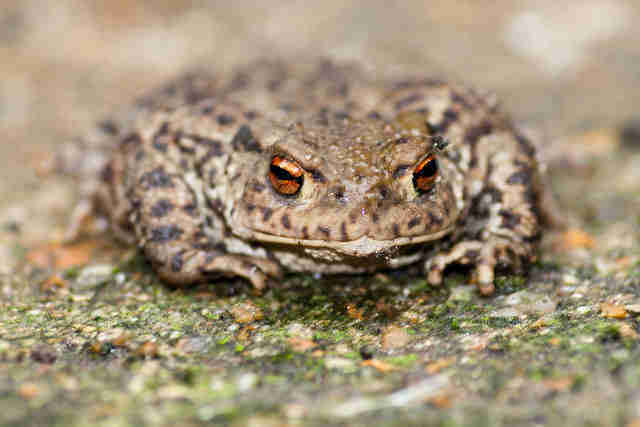 Fearing that pulling on the toad would injure him, Finch asked if he could saw into the deck to free him. And sure enough, the homeowners agreed. But then things got even more difficult. 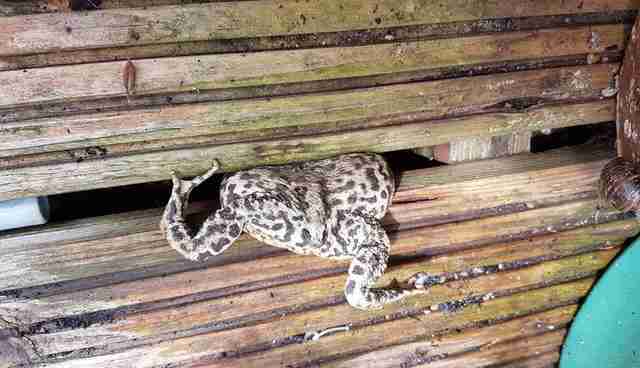 As Finch was planning his next move, the toad managed to slip through his tight spot, falling to an inaccessible area beneath the deck. 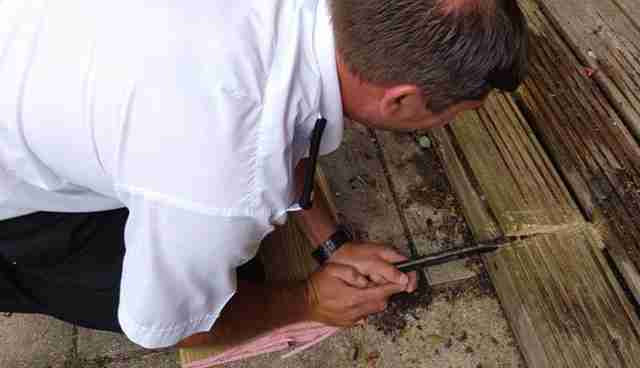 In order to get him out this time, Finch had to remove a section of wood plank. The deck was damaged, of course, but the effort paid off. The toad was lifted to safety - but not before Finch got a chance to size him up. "He was the biggest, fattest toad I have ever seen!" Finch said. "I can only think he was after a nice fly or a juicy bug when he decided to stick his head down the gap. I released him near the garden pond and watched him hop off to where he belongs - all in all a very successful rescue." "It's really heartwarming that people are prepared to go the extra mile to help our wildlife."